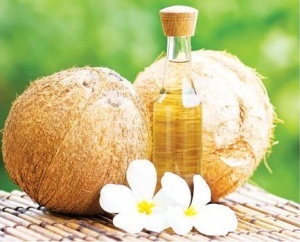 For ages, South Pacific healers make massages with coconut oil to moisturize and protect the body. Refined coconut oil is an ingredient used to make monoi oil and is appreciated for its protective and regenerating effects for the skin and the hair. Monoi de Tahiti oil combines the soothing and nutritive properties of coconut oil and Tiare Tahiti flowers to moisturize and protect the body.